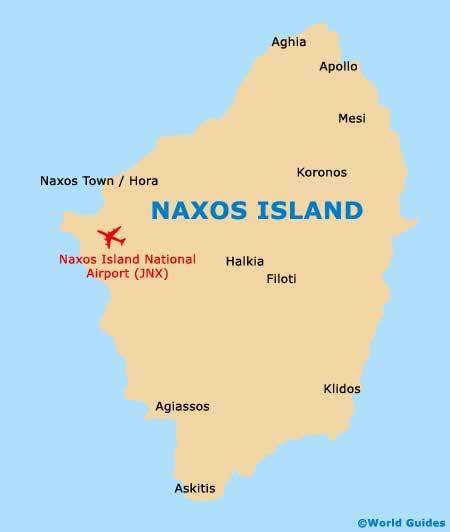 Naxos offers everything that you could possible dream of when it comes to weather. The summers are long and sunny, while the winter climate is wetter, although the rainfall is rarely excessive. All of these reasons result in Naxos being one of the most popular Greek islands in the Aegean Sea, and rightly so. The fine climate means that sightseeing is seldom affected by inclement weather, and the beautiful beaches around the Hora region are at their most inviting between May and October, when high temperatures anywhere between 25°C / 77°F and 35°C / 95°F can be both expected and enjoyed. If you find that the summer climate in Naxos becomes a little too hot in the early afternoon, then this is the perfect time to head to an air-conditioned bar or trattoria, or to cool down in your hotel's swimming pool, or of course the azure blue sea itself. The mountains in the centre of Naxos also offer a noticeably fresher climate and an excellent alternative to the sand and sea. 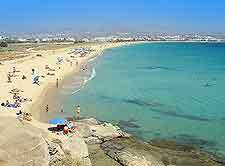 December and January are predictably the coldest months in Naxos, and also the wettest. Rainy weather sees average precipitation levels for each of these months being around 100 mm / 4 inches, although even the very wettest weeks usually see more than their fair share of sunshine.